A nasal pterygium is noted to extend onto the cornea. Pterygium is a vascular pink tissue that can grow from the conjunctiva onto the cornea. If it grows into the line of vision (over the pupillary aperture), it can interfere with vision. Pterygium are most commonly found to originate from on the inner (nasal) surface of the eye, and extend toward the the pupil. They can also occur the on the temporal (towards the ear) side of the eye. Pterygium are more common in countries near to the equator, where there is long-term exposure to sunlight, particularly ultraviolet (UV) rays. 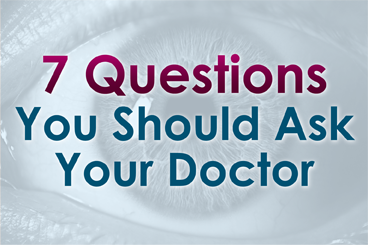 In addition, others believe that chronic eye irritation may play an important role. Therefore, pterygium occur more often in people who spend time outdoors, particularly in sunny climates. Pterygium are benign (not malignant) tumors. Hence pterygium do not invade the eye, sinuses or brain. Pterygium do not spread to other parts of the body (metastasize). Pterygium are external to the eye, visibly apparent, and typically noted to grow before they cause symptoms. They can become irritated, causing an itchy, burning sensation. If allowed to grow into the line of vision (pupillary axis), then a pterygium can cause impairment of vision. Pterygium is usually diagnosed based on appearance. They are typically a wing-shaped, soft tissue growth from the nasal or less commonly the temporal bulbar conjunctiva toward the cornea. Should growth be documented, excision is usually suggested. When surgery is performed, the excised tissue should be sent to pathology for a histopathologic diagnosis. This pterygium has progressed over the visual (pupillary) axis and is affecting the patient’s vision. If a pterygium becomes red and irritated, lubricating eye drops or ointments can be placed onto the eye as to reduce the inflammation. Rarely, anti-inflammatory eye drops may be prescribed. Pterygium are surgically removed when they affect sight, grow such that your eye care professional expects it to impair vision, or if it is cosmetically unacceptable. Unfortunately, pterygium may return despite proper surgical removal. To help prevent recurrences surface radiation, conjunctival implants (grafts), or chemotherapy medications can be used. Patients with pterygium should wear ultraviolet (UV) protective sunglasses, use artificial tears, and avoid dry and dusty conditions.